Family business cases can serve as powerful tools to integrate into consulting and educational work with clients. Cases provide an engaging way for family enterprise members to recognize issues similar to the ones they face, helping evaluate potential, less emotionally-charged solutions. 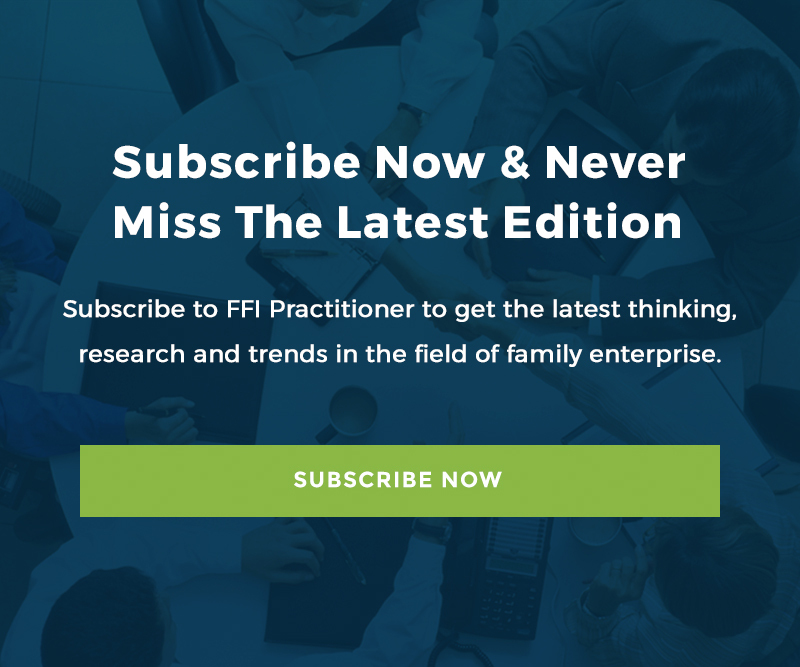 To further this publication’s mission to provide readers with practical materials that support their work with multi-generational family enterprises, we are pleased to feature a selection of family business cases previously published in FFI Practitioner. As an adviser, what can you do when the owner/CEO who hires you is wrong? According to Bruce Walton in this week’s edition, an objective board of directors can serve as a valuable ally to confront a misguided CEO and to get the company moving in the right direction. To illustrate his point, Bruce shares some anecdotes of how a board can help in these tricky situations. Family Business Longevity – A Flawed Quest? Is the pursuit of longevity by family businesses a flawed goal? Almost every practitioner would strongly answer ‘no!” However, for this week’s edition, Asher Noor has decided to adopt the contrarian position in this provocative and Shakespearean inspired piece. Let the play begin! This week, FFI Practitioner addresses estate planning, a topic of perennial importance in the field of family enterprise. Thank you to Ashvini Chopra of Bennett Coleman, for sharing a valuable lesson learned through a case study. In the movies, we see it time and time again–the slick Wall Street villain committing the hostile corporate takeover of a do-good company, placing a closely-held family-owned business at risk of dissolution.